This entry was posted in Random Toy Box and tagged Dads, entertainment, family, fatherhood, fiction, humor, kids, movies, parenting, television. If you and a kindergartner agree, who am I to argue? Hilarious! We watched Sharknado, mostly because I don’t like people talking about things in pop culture and being in the dark. It was brilliant! 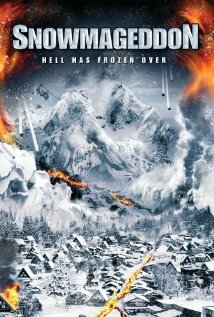 The worst best movie I’ve ever seen. I literally fell off the couch laughing in the final scene. Can’t say that happened watching anything else this year. But now I have to watch Snowmaggedon. I didn’t know that existed. Yes, that girl will have quite a story to tell about her time “on the inside.” I’d almost forgotten about her until she popped out at the end. Very heart-warming. I can’t believe, that after all those years in retail, you never encountered a space alien (customer or staff). And, what about all those zombies that use to plop down in the overstuffed chairs. Waking them up at closing time was a risky proposition. I never thought they were space aliens because I always figured aliens would be better behaved than that . . . and smell better. You’re right. Bullets would have been totally ridiculous. You have to draw the line of credibility somewhere. Yeah, but the fact that there’s only one girl, gives me concerns about their ability to sustain their race. The FCC needs to review the names of networks and make sure they reflect reality. The Learning Channel? The only thing to learn there is that some people don’t need cameras following them. So it’s pretty much Mission Accomplished for TLC, right? Sounds like they lived up to their name to me. Ahh, now I see it. TLC is a network devoted to what not to do. For some reason I thought it should be more like PBS, but nobody watches PBS, so this is a way to get people to learn without making their brains hurt. Brilliant. Except it sounds like it makes your brain hurt. So they may still have some tweaking to do with their business model. These movies sound very scary. 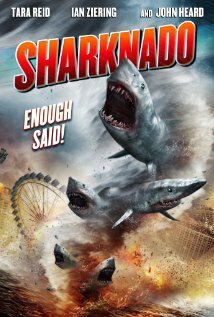 I remember seeing a sharknado once on my home planet of Burkina Faso. It wasn’t pretty, I assure you. They are the scariest films since Alien vs. Predator. You were awesome in that one, by the way! You are a better man than I am if you can watch not one but two movies like that. Actually you are a better than I am in everything you do. I just don’t make a good man. And your husband thanks you for it. Yes, let’s watch the Smurf. Also another way of diverting their attention from that thing-that-only-married-couples are supposed to do and all the uncomfortable question related to that topic. I like Smurfs. And Superhero’s off course. The Smurfs do live in a simpler world, don’t they? Yes. They only have that dufus and the cat. And only one female Smurf. Life must be so damn easy for them! I bet it gets complicated for the female now and then.